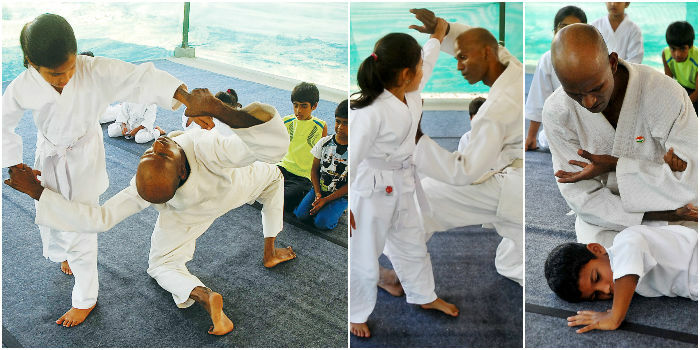 Kamal Hasan uses Aikido in his blockbuster hit Dasavatharam! “Where to buy aikido gi for practice? 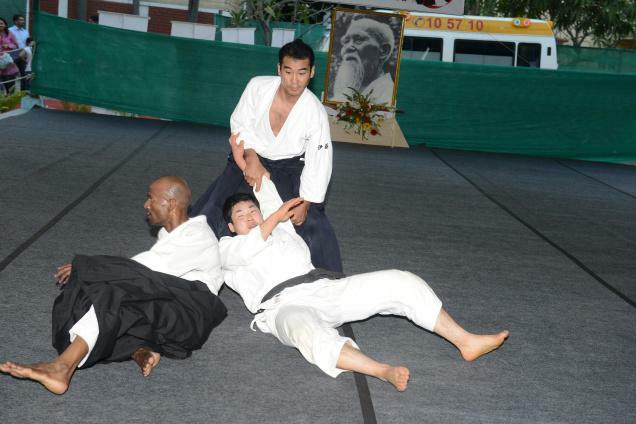 Traditional Aikido gi is similar to judo gi. Generally a thick, heavy, quilted gi is known as an Aikido or judo gi, and a lighter weight one is known as a karate gi. Aikido/Judo gis are mean for gripping, pulling and to absorb falls. A Karate gi will likely tear quicker in the tough training environment of Aikido. Our “Ulaganayagan” did 10 different roles in this movie out of which the Japanese Character’s name is “Shingen Narahashi”. He is seen effortlessly fending off multiple attackers at his dojo in Japan – and the fluid art depicted is … Aikido! Kamal Hasan employs excellent techniques which he must have acquired through many sessions of rigorous practice. What our mega-star has introduced to audiences, we seek to enhance with foundational training.